This visit fell on a Sunday a few hours before a flight out of town, so I couldn’t resist getting a cocktail with my meal for one last hurrah. 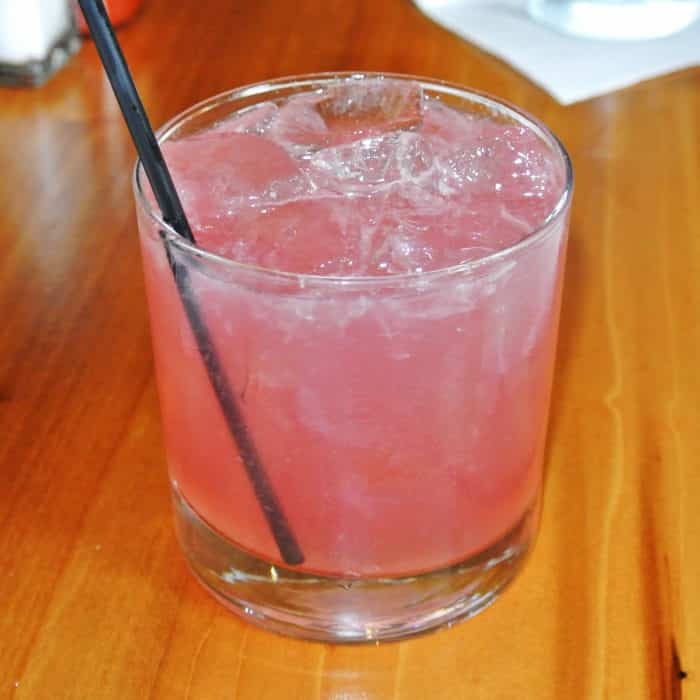 I decided on a drink called Hey, Jack which was made with Dos Lunas Tequila, Pama Liqueur, jalapeño puree, tarragon simple syrup, lime juice, and ginger beer. When our waitress gave us the rundown of daily specials, she mentioned a Country Style Rib which piqued my curiosity. 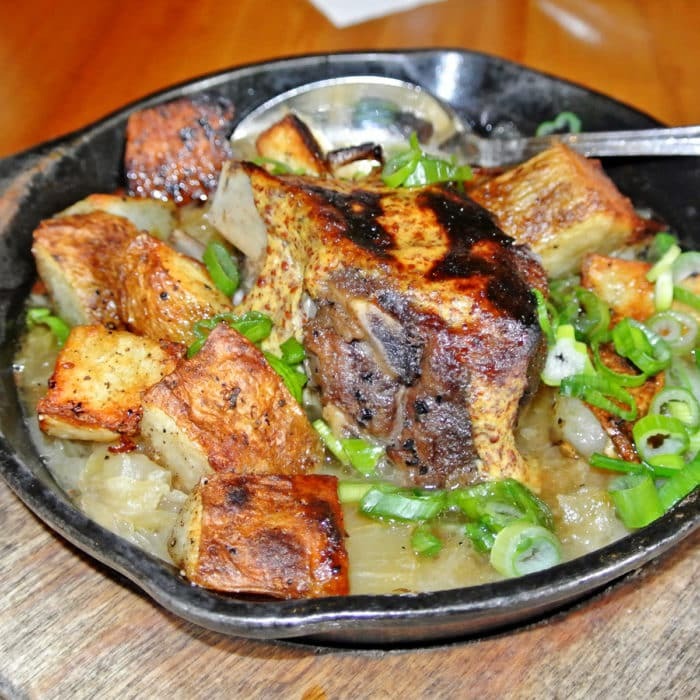 Though there are pork ribs on their regular menu, I followed my intuition and gave this special dish a shot. This special rib appetizer was not made of pork, but instead made with massive slow-roasted beef ribs with bone intact. For flavor, it relied pretty heavily on spicy mustard, sauerkraut, and the meaty, brothy, jus everything was sitting in. Ultimately, it was a fairly tame dish flavorwise. It was really nicely executed and that beef was extraordinarily tender, I just would have liked one more bold, exciting element in the dish to really make it sing. 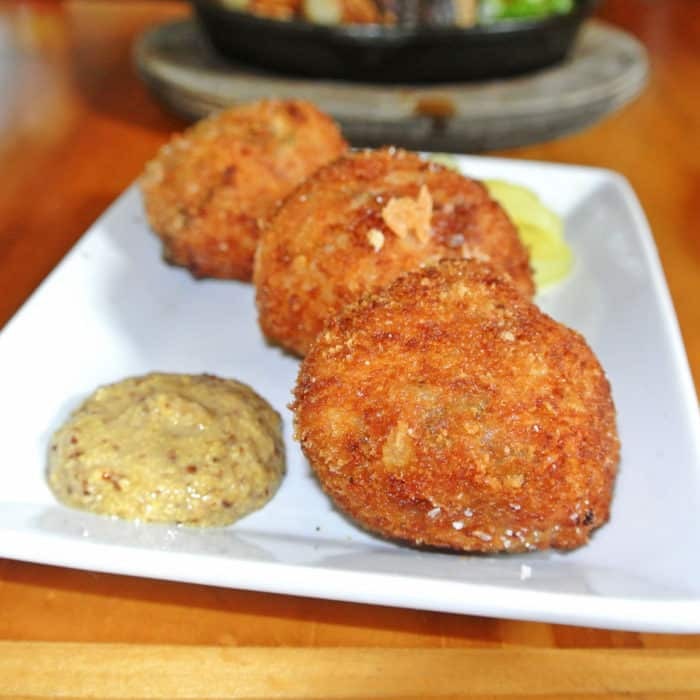 During my previous visit to the restaurant, I ate all sorts of hearty, unhealthy, deep-fried amazingnesses like Alligator Bites and Rabbit & Dumplings, but the one caloric splurge I knew I had to repeat was their ridiculous Fried Boudin balls. If you’ve been following the blog, you’ll know that this wasn’t the first time I’d eaten Boudin Balls on this trip to Louisiana. While I enjoyed the previous rendition very much, I loved this much subtler version. The offal flavor in these fried sausage balls was much more restrained and when combined with a sliver of pickled pepper and a generous smear of mustard, it made for awesomely creamy, crispy, funky, meaty bites. 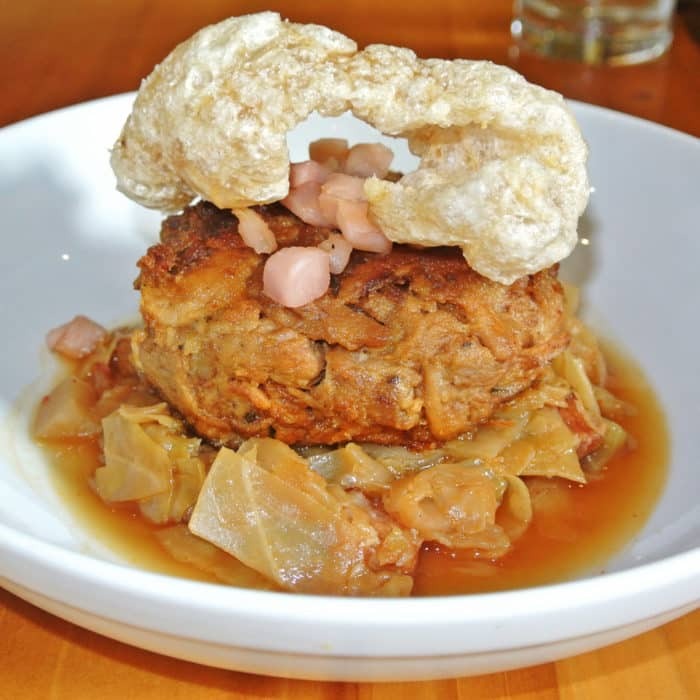 For our shared entree, we split the restaurant’s namesake dish, the Louisiana Cochon which came served with turnips, cabbage, pickled turnips, and one huge, gnarled piece of cracklin. I’ll admit, this was not the prettiest dish I’ve ever had and the format was very different than I had envisioned, but I wholeheartedly enjoyed it. Instead of a full hunk of skin-on pork as I had anticipated, it was instead a patty-like mound made of tender, shredded pulled pork. The meat was extremely moist and had a nice porky flavor, but once again was pretty mildly flavored dish compared to some of the dishes I had experienced on my first visit to Cochon. The veggies below the heaping pile of pork were really pleasant, especially because they had been soaked in that interesting porky broth and the crispy cracklin on top added nice texture, but I would have hoped for some bolder flavors in this dish too. 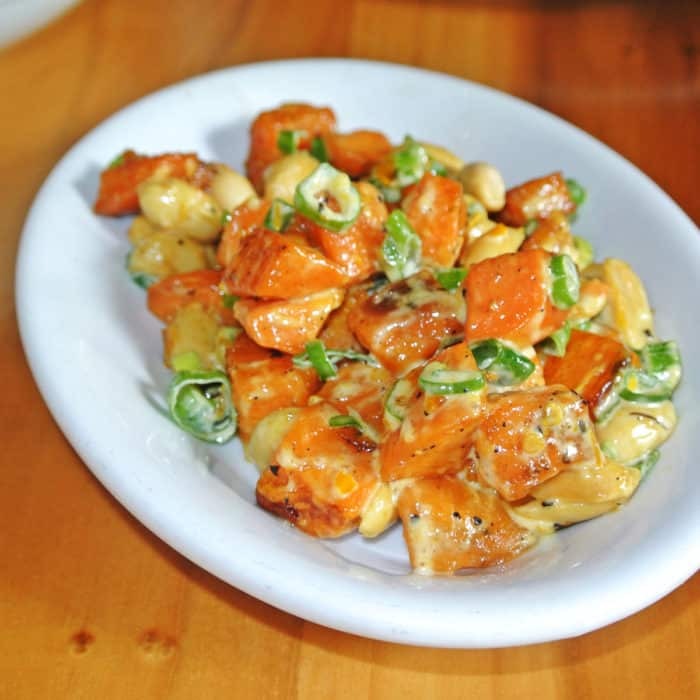 To accompany our main course, we also ordered a side of Roasted Sweet Potatoes which were served cubed with whole peanuts, green onion, and a spicy mayo sauce. The mayo sauce actually kicked way harder than I had expected and while it was quite enjoyable, I did find it to be a little overwhelming in some bites. The peanuts definitely made this dish though. Their nutty flavor and crunchy texture really helped round of the creamy, spicy sauce and vegetal sweet potato bites. 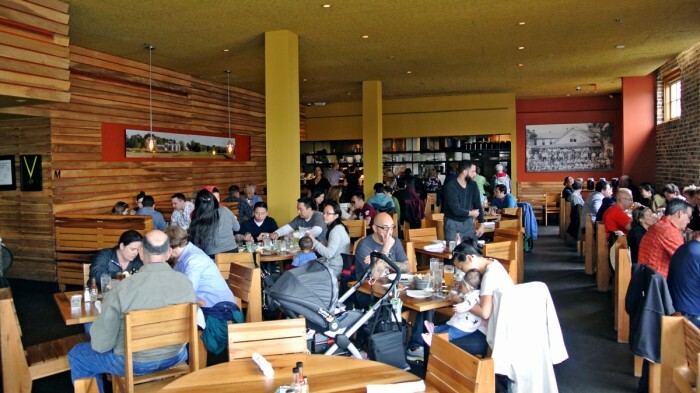 In conclusion, although I found my first trip to Cochon to be quite a bit more exiting, I’m happy to attribute a lot of that to my dish selection. In my attempt to select non-deep-fried or gravy-laden dishes, I ended up losing some of the magical spark I fell in love with the first time though. 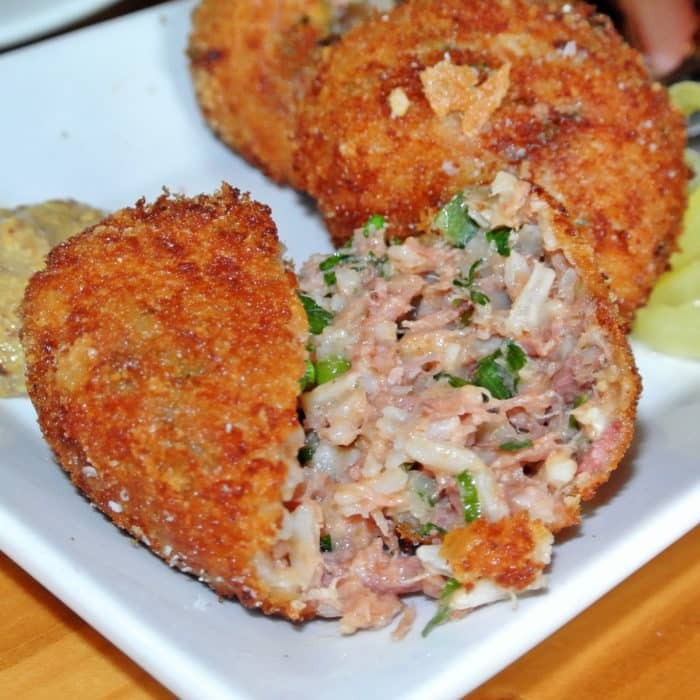 So, don’t miss the Boudin Balls and just submit to the calories and get the Alligator Bites and Rabbit & Dumplings too. 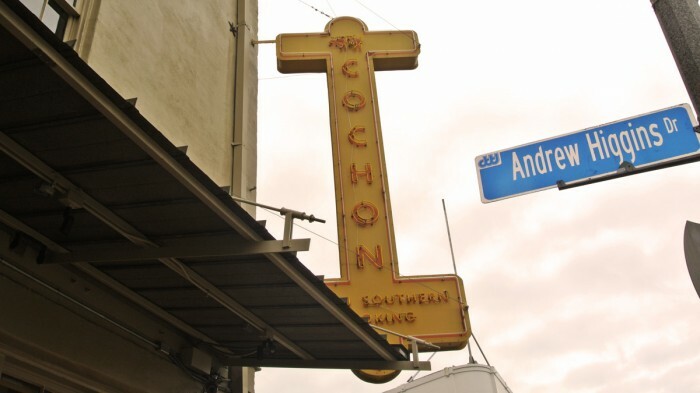 Got another place I should hit up next time I’m in New Orleans? Let me know in the comments below. the HEY JACK is the tastiest cocktail I’ve ever had….going to play with ingredients until I have an approximation. It is a good thing I don’t live in NOLA or I’d be broke (and alcoholic) buying those babies! Oh yeah, it’s sooooo good, isn’t it!